← Day 36: Mushroom Madness. My guy friends have, over the years, pointed me towards more interesting websites than my female friends. I think it has something to do with the types of topics we discuss when we get together. With the girls, we tend to chat about things that are more personal in nature, kind of like an ice cream sundae (because it always comes back to food with me). 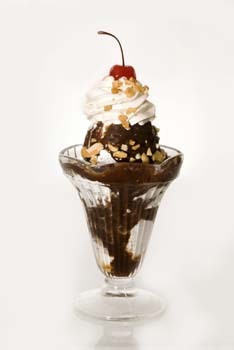 The basic scoops are whatever’s going on in our relationships, with our work, family and close friends; then the syrup and whipped cream toppings can touch on things like our favourite shows, fitness routines, and nutrition; finally, the sprinkling of nuts and the proverbial cherry on top can cover the occasional juicy celebrity gossip or really any other entertainment news. We often submerge our spoons to purposefully mix multiple layers, and relish in the resulting combinations. Guys, on the other hand, tend to discuss the impersonal stuff, which is more like a pizza, and definitely not deep dish. 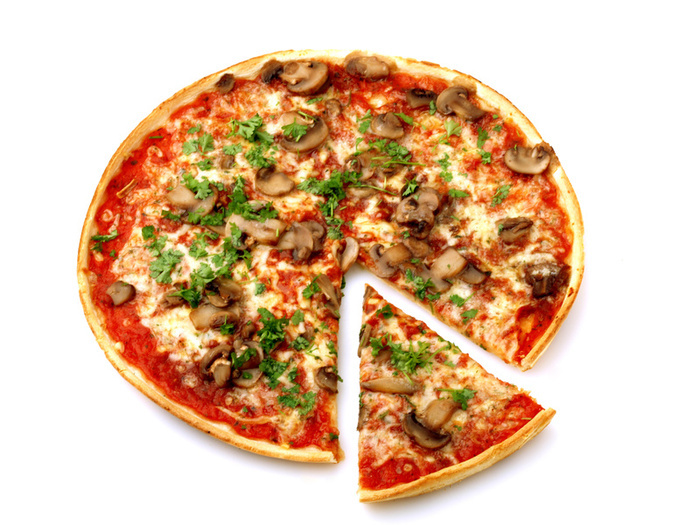 The crust, cheese and sauce fundamentals usually include current events, sports and gadgets of all kinds; the additional toppings can involve anything from video games, music and movies, to adventure travel, something they read recently or saw on-line. 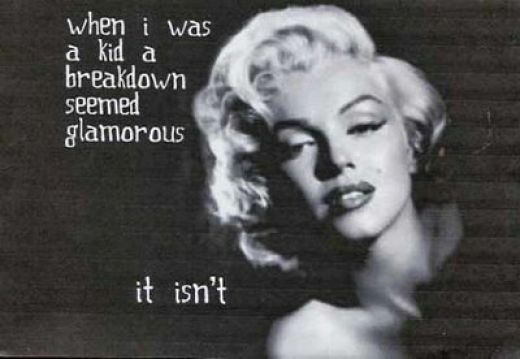 And farts, of course. In fact, anything at all loosely related to bathroom humour never gets old, no matter what age the guy. Each of these topics is tackled one slice at a time until fully exhausted before moving on. Two websites in particular that I doubt I would have come across if it weren’t for the men in my life are FailBlog.org, and PostSecret.com. Both of them are periodically interesting to me for different reasons. Failblog is always better when you’re feeling completely brain dead, or had a few drinks, and just want something mindless to peruse, often at the expense of someone else, or to simply see something inane. The site is a veritable breeding ground for potential Darwin award winners and cheap laughs to share on Facebook. Click on the image at left to see an example of what I mean. 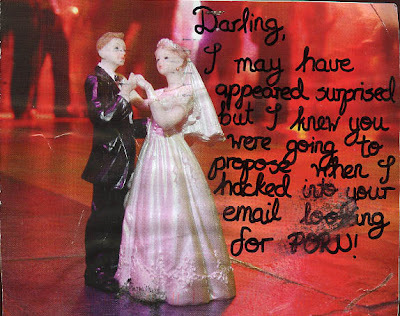 Postsecret, on the other hand, is attractive when you are feeling a little freaked out, and want to see who else is more psychologically disturbed than yourself. The concept, in case you are new to it, is that people write a very personal secret that they’ve never told anyone before onto a frequently homemade postcard and mail it into the organization anonymously. From the countless cards received, the more creative and insightful, or just plain wacky, get published on-line. They even have a Facebook page and Twitter site where these works of art or emailed secrets are disclosed. My view is that it is quite therapeutic for the senders to share these dark truths about themselves, as a way of purging it from their systems. Just recently, I saw a post on Twitter where someone recognized their own secret being confessed by somebody else, and the person was genuinely relieved to know that they were not alone. 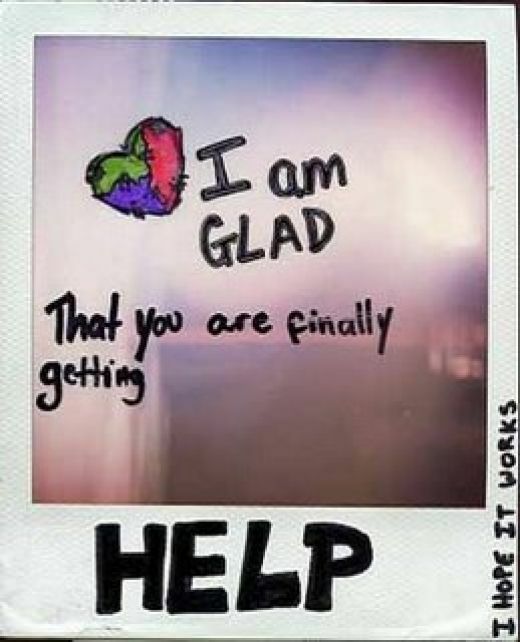 Postsecret actively supports suicide prevention efforts, and takes their show on the road mostly around the US where the founder reads postcards on stage, and where people are encouraged to reveal their own secret on a microphone in front of a crowd. It’s powerful stuff. So, today’s new thing for me was to write a postcard and mail it to PostSecret. It was a bit of a daunting task not only from the perspective of my infamously short-term memory, but also that it meant dredging up something personal that I’ve no doubt repressed for a very good reason. It’s funny how this kind of an exercise can heighten your level of neuroticism. I actually went out of my way to walk to a postbox outside of my immediate neighbourhood, just in case they could somehow trace it back to where it was mailed, and in case the post office workers talk amongst themselves and it somehow gets back to my local postman… Awkward! But the weather has been unseasonably wonderful, and the evening was still warm, so I took advantage of the walk to pick up an individual slice of pizza and discuss the latest news with the guys behind the counter. PS. Here’s a completely truthful secret for you: I hope that my secret does not get posted. Thankfully, I’d say the odds are in my favour. 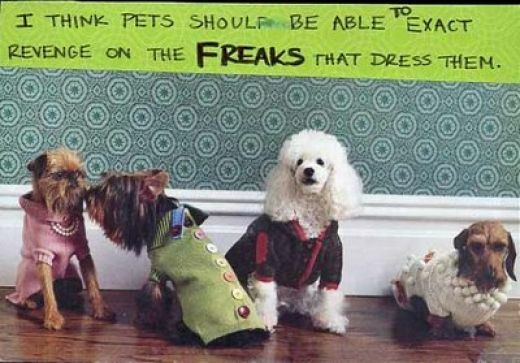 This entry was posted in Home and Personal and tagged April, failblog, Home, Personal, postsecret. Bookmark the permalink.